If you love to document, plan and craft a traveler's journal might be what works best for you. These layouts by Chiara are both beautiful and so memorable. She is able to craft and tell her story by adding eventful and or meaningful daily events. 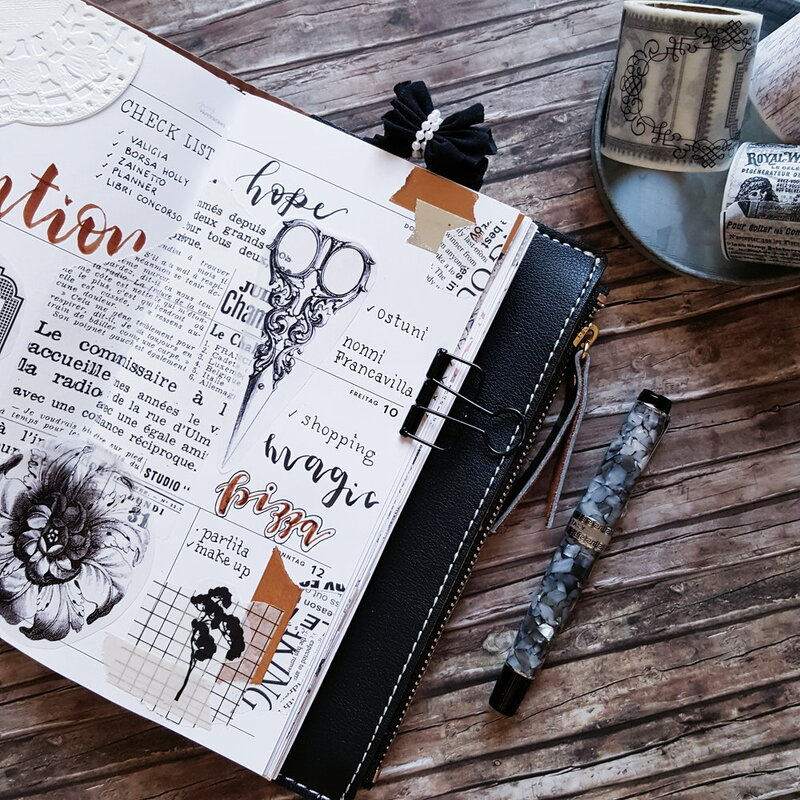 Here you can see how design team member Chiara uses her Traveler's notebook to write down things she is doing through the week as well as how she is decorating her layouts with Washi tape, stamps, stickers and her beautiful thoughts. 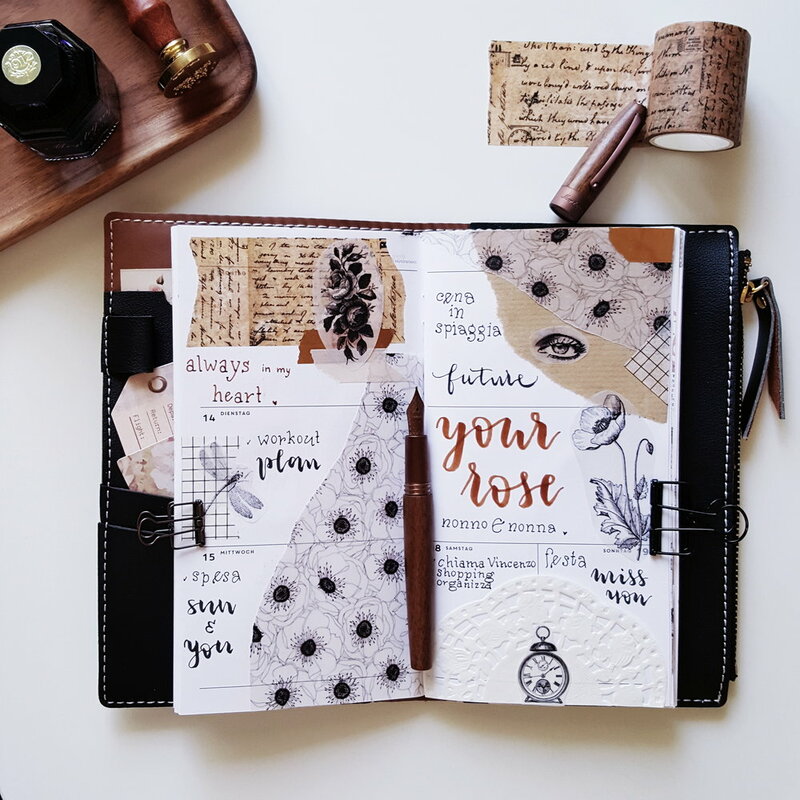 Chiara decorated her layouts using vellum flowers and French Riviera collection paper. For the setup she used vintage ephemera and some clips and flowers as well. 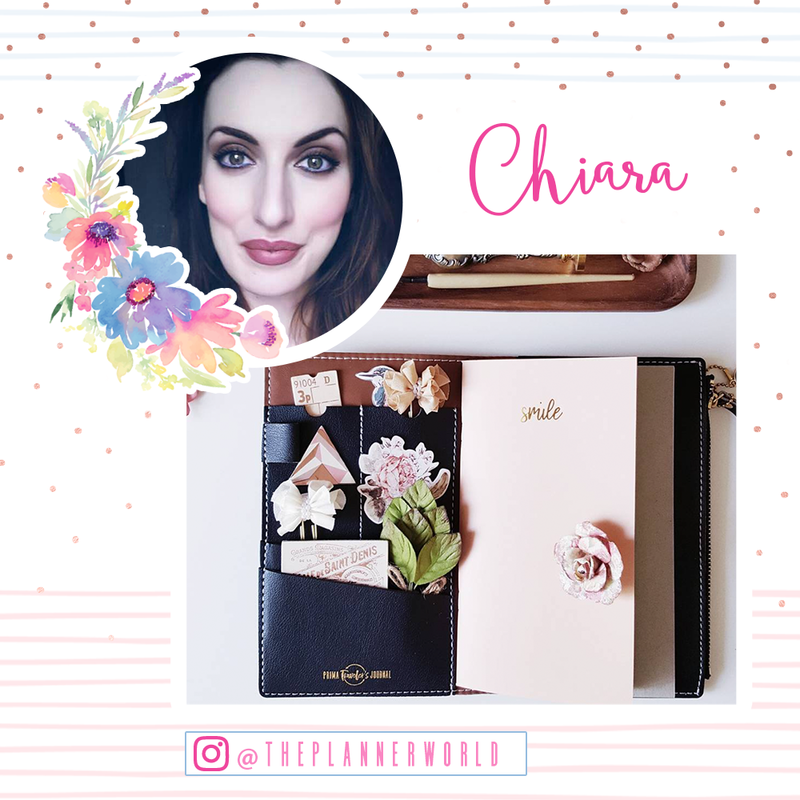 To see more projects and inspirational images check out Chiara's Instagram account at theplannerworld.